Location: Adjacent to the Post Office, alongside the pathway leading to the Parish Church. Built as a shop with accommodation above, c.1880, but possibly incorporating an earlier structure. 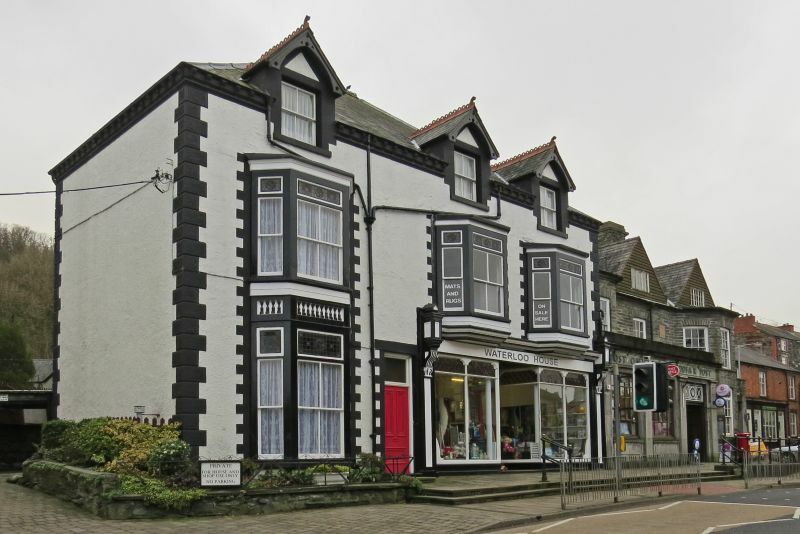 Group value with the Owain Glyndwr Hotel and the Post Office, and a typical and well-preserved example of a late C19 shop building. Prominently sited on the main street in the centre of the town, in front of the church. Prominently sited facing E down High Street at the point where it narrows towards the head of Stryd y Bont.